Nashville, TN (January 16, 2018) –RCA Inspiration heralds a cross section of nominations for the upcoming 33rd Annual Stellar Awards, encompassing powerful new releases that flooded the airwaves with a bang over the past year. The list of nominees includes award-winning superstars and acclaimed newcomers. Garnering 18 Stellar Award nominations for 2018, RCA Inspiration’s nominations cover 17 categories including Artist of the Year, Song of the Year, Male Vocalist of the Year, Albertina Walker Female Vocalist of the Year, and CD of the Year. 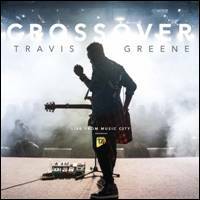 Fresh from winning top honors last year with 7 Stellar Awards, Travis Greene continues to make a strong impact, garnering 9 nominations this year with his latest chart-topping album, Crossover: Live from Music City. 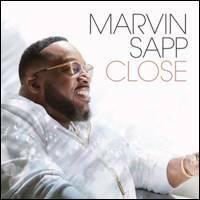 22-time Stellar Award-winning icon, Marvin Sapp, continues to create a pioneering path in the music world, garnering 4 Stellar Award nominations for his chart-topping album, Close. 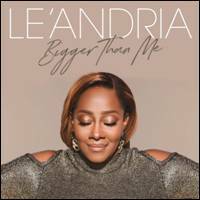 Multiple Stellar Award winner Le’Andria Johnson brought her beloved superstar voice to her latest hit album, Bigger Than Me, garnering 2 Stellar Award nominations. Newcomer and first-time nominee, Koryn Hawthorne, garners 2 Stellar Award nominations, celebrating her acclaimed debut release, Koryn Hawthorne EP. The acclaimed collection, Greenleaf Soundtrack: Volume 2, rounds out the list with 1 nomination. Below is the full list of RCA Inspiration’s Stellar Awards nominations by artist. The 33rd Annual Stellar Awards will take place on Saturday March 24th, 2018 at the Orleans Arena in Las Vegas, NV.